We had some neighbors over for dinner tonight. It was a fantastic time of sharing food and conversation. We decided that it was a perfect opportunity to make a Japanese style meal. The main chef for this meal was my wife. Her main assistant was my mother. Normally I love cooking but in this day my task was to keep our son occupied. He is very much in the “needing Mama” stage. He would certainly have demanded more attention than she could give. Leo and I explored the outside world as wife and mother-and-law prepped a meal. 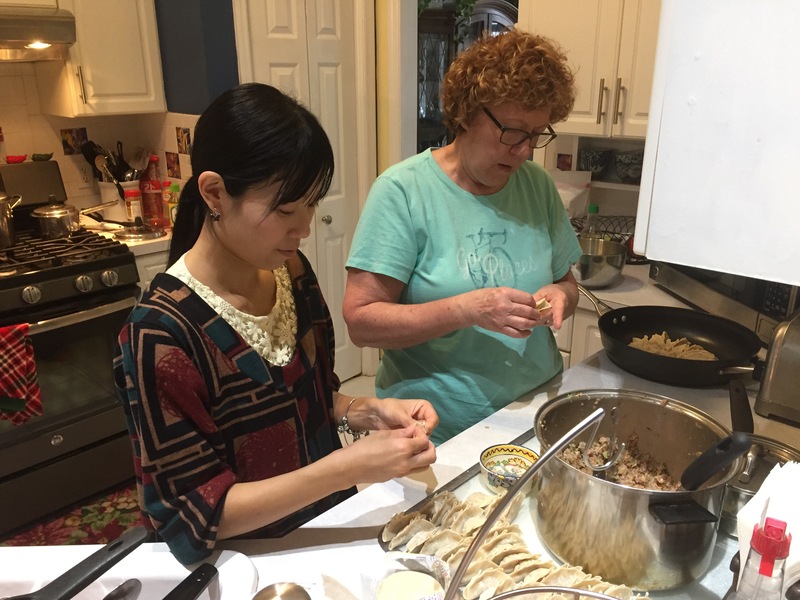 At some point I popped my head in and the two of them were working on gyoza. There is a belief among some that there will be a rough relationship between wife and mother-in-law. It always brightens my day to see that these to strong, intelligent women can not only work together and get along, but also have genuine affection for each other. Also, the food was delicious.